Cabdulaahi Ahmed Faarax has more than 400 friends on Facebook. So what will those friends -- many of whom live in the United States -- do now that Al Shabab, the Somali militant organization to which Faarax belongs -- has officially merged with Al Qaeda? Omar Hammami would like you to think he's the next Anwar Awlaki. In fact, he would like it so much that he's aping Awlaki in a pre-release audio obtained by INTELWIRE. Hammami's new work, "In Defense of the Khilafah (Caliphate)," uses a 2005 RAND Corp. study as a jumping off point for comments about the inevitability of a new Islamic caliphate. The study was made famous by Anwar Awlaki, who attacked it in his most influential audio lecture, "Constants on the Path of Jihad" and in a follow-up recording, "The Battle for Hearts and Minds." Terrorist use of the Internet is a hot topic these days, but it's often discussed in very broad terms, as if the Internet itself is the story, rather than the people who use it. Abu Suleiman Al Nasser is the alias used by one of the self-professed cyber-jihadists who frequent online message boards used by Islamist terrorists and Al Qaeda sympathizers. He spoke with INTELWIRE about what he does and why. Documents filed in the criminal prosecution of Arizona white supremacists Dennis and Daniel Mahon reveal that Mahon told a prison cellmate in 2009 that was the "anonymous third man" who escaped prosecution in the Oklahoma City bombing. ANWAR AL-AWLAKI VIDEO RELEASE REHASHES 2010 "MESSAGE TO THE AMERICAN PEOPLE"
The power centers in American politics, both left and right, have grown increasingly counterproductive in their attitudes toward Muslim Americans. On the right, Muslims are treated largely as monsters, a seething mass of people who do not share American values and could, at any moment, establish a Taliban-style theocracy right here in the United States. On the left, Muslims are treated as children who cannot be left to their own devices, who must be carefully tutored in proper behavior but not made to feel like they are singled out. On Wednesday, a joint Congressional Homeland Security hearing will examine the threat of Al Qaeda-inspired terrorism to America's military on U.S. soil. This is a very large and complex topic. INTELWIRE provides some resources for those planning to cover the hearing and the history of this problem. The father of American Al Qaeda propagandist Anwar Al-Awlaki issued an audio recording accusing the United States of assassinating his son because it wanted to silence an influential Muslim preacher. The audio was released in conjunction with a protest at the U.S. embassy in London by the banned organization Muslims Against Crusades. New exhibits were released in support of sentencing for Kevin Harpham, the white supremacist who pled guilty to planting a bomb at a Martin Luther King Day parade in Spokane, Wash., in January. The new documents reveal details of Harpham's preparations as well as some of his ideological inspirations. The latest audio communique from Al Qaeda's top leader Ayman Al Zawahiri calls for the release of one of the earliest American jihadists to carry out violence on U.S. soil, Egyptian-born American citizen El Sayyid Nosair. Although most Americans have long forgotten Nosair, Al Qaeda clearly has not, illustrating the importance of understanding the early development of the jihadist movement in the United States. American white supremacist David Duke was reportedly arrested in Cologne, Germany, according to his official Web site. Duke -- a former grand wizard of the Ku Klux Klan, Louisiana state legislator, and chronic presidential candidate -- is apparently being held by German authorities pending a decision to press charges or initiate deportation. Bail was denied for Ashland, Massachusetts, resident Rezwan Ferdaus was charged today with plotting to use homemade drones to bomb the Pentagon and U.S. Capitol, as well as providing detonators to undercover agents which he believed were used to kill American soldiers in Iraq. A ring of terrorist hackers busted by Philippines police this week may be linked to a hacking cell indicted in the United States in 2009. Police said that the group was also involved in financing the notorious Pakistani terrorist organization Lashkar E-Taiba. Jose Pimentel, a devotee of American Al Qaeda propagandist Anwar Awlaki arrested in New York this weekend for building a pipe bomb described in Al Qaeda's Inspire magazine, posted entries at least twice on Islam Policy, the radical Web site previously known as Revolution Muslim. Awlaki's translation of "Constants" into English has become a classic of radicalization in the West, not just because of Awlaki's formidable language skills, but also his creative interpretation of the original text with expanded religious stories and real-life examples. The death of Osama bin Laden came and went, and nary a midnight howl was heard from the lone wolf terrorists of the American jihadist movement. Now the 10th anniversary of the September 11 attack has come and gone, and the lone wolves again stayed in their lairs. What can we conclude from this? IS AL QAEDA'S 'INSPIRE' UNINSPIRED? Despite all the fuss, Al Qaeda's "Inspire" magazine is far from original. Clock on the image above to see a slideshow comparing Inspire to the magazines that went before it. 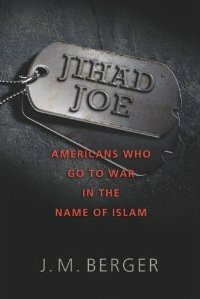 Jihad Joe: Americans Who Go To War In The Name Of Islam, the new book by INTELWIRE's J.M. Berger, is now available in both Kindle and hardcover editions. Order today! Jihad Joe is the first comprehensive history of the American jihadist movement, from 1979 through the present. Click here to read more about the critical acclaim Jihad Joe has earned so far, including from the New York Times, Publisher's Weekly, Redstate.com and more.